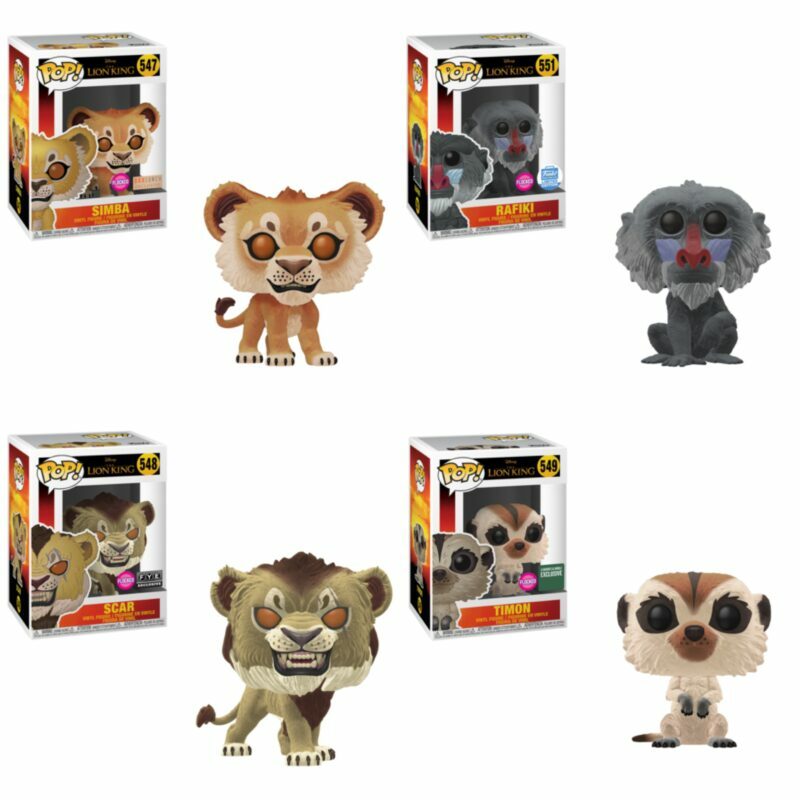 With the live-action take on Disney’s The Lion King on its way to theaters soon (in what is sure to be a fantastic reimagining of the animated classic) Funko just announced that The Lion King Pop! will be coming soon as well! Many of the characters that we have grown to love and hate (looking at you, Scar) will be joining the Pop! universe! A grand total of nine new pops will be added to the shelves, four of which will be sold as exclusives. The non-exclusive Funko characters will include Pop! Simba, Pop! Timon, Pop! Pumbaa, Pop! Scar, and Pop! Rafiki. You will now be able to add the fearless leader, the playful duo, the wise teacher, and the vengeful villain to your own personal collection! These incredible vinyl figures will be available wherever Funko pops are sold! Funko will also have some flocked versions sold as exclusives. A flocked version of Simba will be sold as a BoxLunch exclusive. A flocked Rafiki will be sold as a Funko shop exclusive. A flocked version of Scar will be found only at FYE stores. And lastly, you’ll find a flocked Timon only at Barnes and Noble. There is a lot of attention to detail on these vinyl figures, from Pumbaa’s tusks to Scar’s sharp teeth on display. Rafiki looks wise, while Timon looks playful. The pops take on a more realistic look as well, mirroring the look of the upcoming Disney film and the actual animals they are based on. 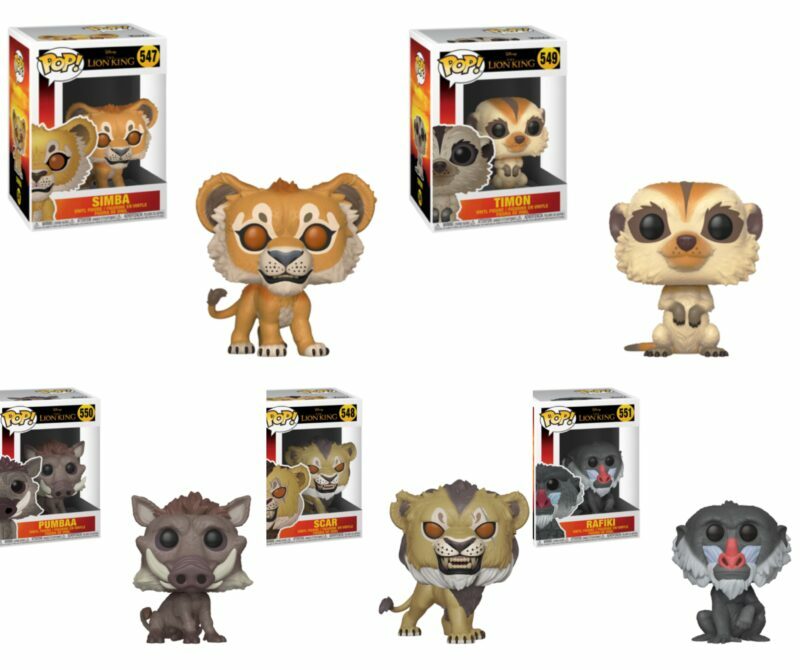 Keep a lookout for these amazing Lion King pops, coming soon to a store near you!